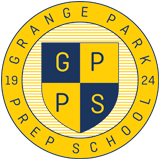 Grange Park Preparatory School is a long established, happy and successful school which provides a stimulating education for children between the ages of 3 -11. Small class sizes allow us to really get to know each child and help them to explore and develop their talents to achieve their full potential. In addition to a broad and balanced academic curriculum, a thriving sports, music and drama programme, the children experience a wide range of extra curricula activities enabling everyone to discover their strengths. Prepare children for transfer to an appropriate senior school and for life beyond education. Benefit from belonging to a nurturing community where each child develops respect, empathy, compassion and kindness. We encourage children to become aware of social issues in the wider community and to develop firm moral convictions. Education for Social Responsibility is a key element of our curriculum.